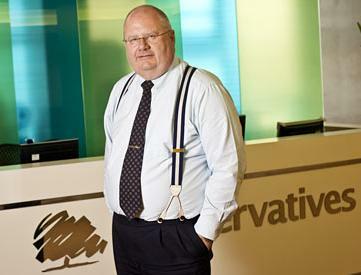 It has been a while since the mighty Eric Pickles has raised the ire of the WLLG team. This has not been for want of trying. Mr Pickles’ latest thoughts of multi-culturalism raised a curious eyebrow, his entreaty to business people to work harder made us wonder if he had simply forgotten he wasn’t talking about local government that day, his re-announcement of the business rates changes mildly distracted us, and his obsession with street parties and flags keeping us amused if not informed. But whilst Mr Pickles might have been characteristically provocative in his speech (something which we actually value here at WLLG) the simple fact is that the DCLG has somewhat run out of policies, ideas and general announcements. Even the Queens Speech was a largely DCLG free zone. 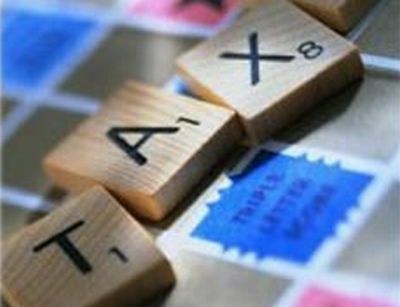 Councils greater local flexibility to choose to waive special tax relief on second homes and empty homes, allowing councils to use the monies to keep the overall rate of council tax down. This would allow a £20 saving on a Band D council tax bill for ordinary families. There will be no requirement for councils to make any changes, if they do not wish. So, why on earth did this seemingly innocuous announcement raise the ire of the WLLG team? Well, it was the sheer bare-faced cheek of it. Like many people up and down the country we received our council tax bill this week. What was strange about it is that it was higher than last year’s bill. This was despite our local council taking their share of Eric Pickles’ council tax freeze grant and thus promising their residents a 0% increase in council tax. So, what happened to our council tax bill? Well, the police and fire service happened. The Conservative Government have promised residents that they will not pay any more council tax and have emotionally blackmailed local authorities to ensure that councils mortgaged their financial future to deliver on this promise. Unfortunately, local tax is so complicated that despite Mr Pickles’ bluster it was going to be very difficult to actually freeze the amount we would all pay. Chief among those challenges was the police precept. The police precept is a funny thing. The average member of the public would probably feel quite pleased about the cost of it; after all it is a lot smaller than the amount we pay for our local council tax. As with council tax this is all a mirage. The police precept no more pays for the police than the council tax plays for council services. The precept is funny in many ways. Unlike other taxes it is raised not by councillors or senior politicians but by unelected police boards that supposedly represent the local community but in reality are of marginal importance in local democratic life. The Government do recognise this and the move to elected police commissioners is meant to provide some democratic accountability. 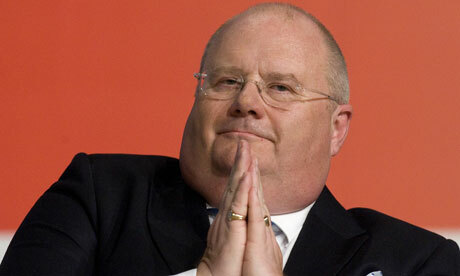 We’re not really the sort of people who have New Year’s resolutions but when the excellent Guardian Local Government Network asked us to name one we said that we were going to be nicer to Eric Pickles in 2012. 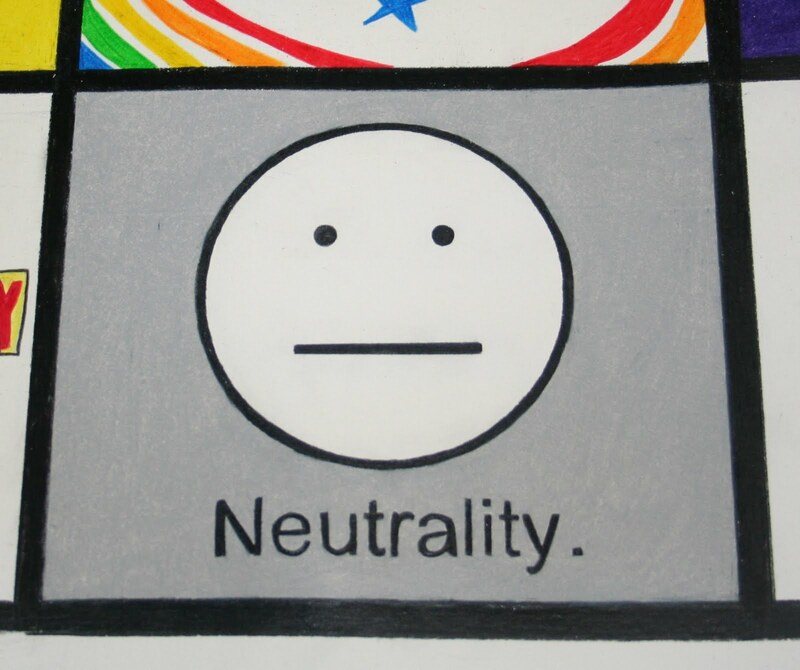 And you know what; we meant it. Unfortunately, much like the diet, alcohol ban, gym attendance and intention to spend less money on cheesy Wotsits this New Year’s resolution has not made it to February. 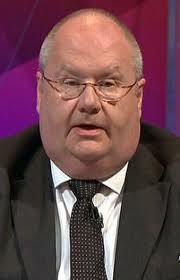 Councils have ‘moral duty’ on tax – Eric Pickles. A moral duty?!? As in this is an absolute? As in this is correct and any other interpretation is thus immoral? 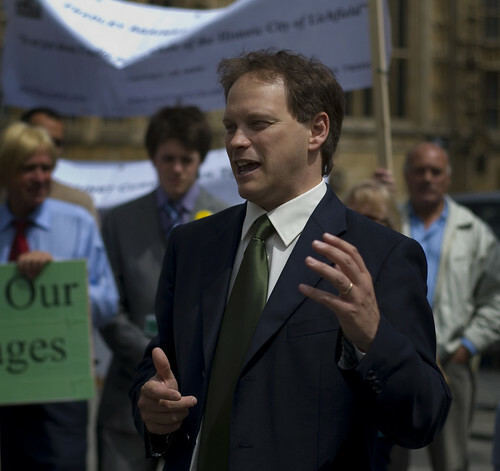 After feeling rather hard done by over the past few weeks as first the Liberal Democrats and then the Labour Party more or less ignored Local Government at their party conferences the Conservatives have sought to redress the balance and then some in the first few days of their conference. What’s more, announcements about council tax, waste and the right to buy have come before Mr Pickles has even had his moment in the conference spotlight. Despite being pleased about the rightful focus on local government, alongside the many other important issues discussed, over the past few days the local government announcements have left me feeling a little conflicted. The policy on weekly waste collection was ridiculous and the policy on right to buy and house building is a classic ‘devil is in the detail’ announcement. Which leaves council tax and on this I can’t help but feel a little let down. 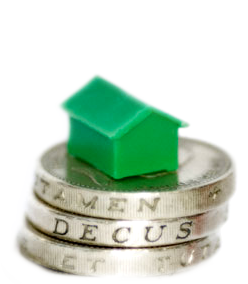 The Government is providing local councils with over £800 million. This money is new money. Many councillors were feeling very twitchy about raising council tax this year and it is entirely possible that a 2.5% increase is more than many councils would have got had the decision been left to the councillors. However, let’s not pretend that a 2.5% increase makes much of a difference to the council budget. Where do the wealthy pay more tax? The Department of Communities and Local Government has, under Eric Pickles, been very keen to ensure that there is a regular stream of ‘open’ data to help the public get a deeper understanding of what their politicians are up to. Indeed, his very openness made the BBCs Gavin Estler look extremely silly on Newsnight. 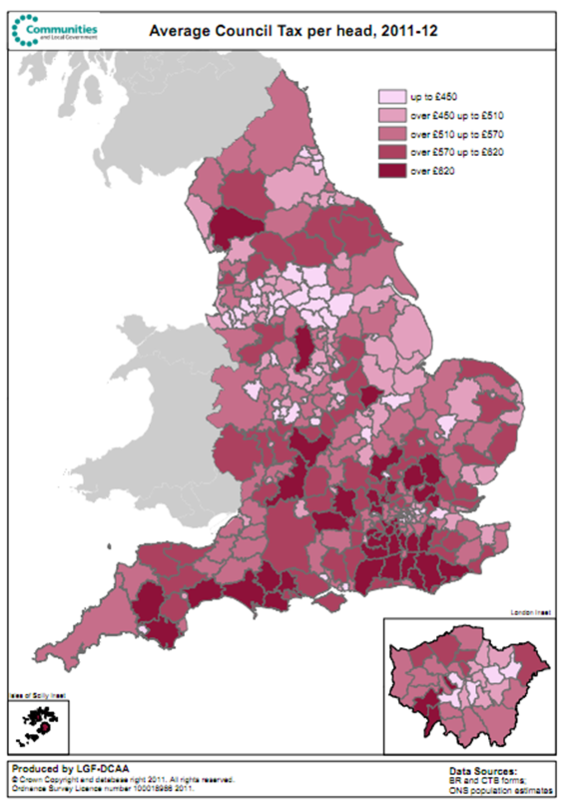 The map clearly shows that those areas that are populated by wealthy people are paying more council tax. Aha, might say those in favour of council cuts; the areas that are the most wealthy, and paying the highest council taxes, are also those that received the smallest cuts. See, I told you it was fair. Except, that’s not what the map shows at all.